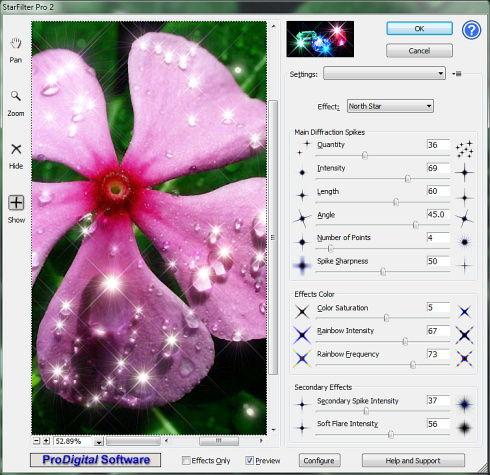 Starfilter pro 2 is a plugin for adobe photoshop, corel paintshop, and compatible image editors that you can use to add strikingly beautiful star filter effects to your images digitally, without the use of cumbersome glass filters. This plugin offers you the ability to control every aspect of the rendered effects, and provides mathematical simulation of diffraction, resulting in beautiful, natural, three dimensional-looking and believable output. Sparkling, realistic effects. Five different star filters and two unique effects. No overall loss of contrast as with glass filters. Works with popular image editors and photo viewers. Rich set of adjustments gives you ultimate artistic control. 32 bit operation, and 64 bit operation with adobe photoshop. Rich set of standard keyboard shortcuts. Full editor integration; works with selections, layers, masks. Internal math is 32 bit for highest image quality. 8, 16, 32 bit per channel color and grayscale image support. Mouse-over help Hover over the controls to see quick help. F1 help Rich help resources. 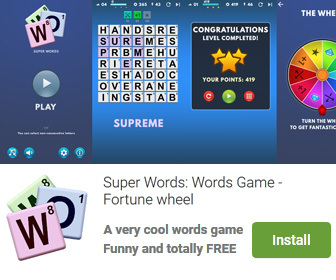 Try before you buy 15 day fully functional free trial. Differentiate your images from the crowd. 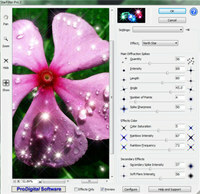 StarFilter Pro 2 is a graphic program that works under windows xp, windows vista and windows 7. It supports both 32-bit & 64-bit windows editions, therefore it could run faster on 64-bit computers. Estimated download time for StarFilter Pro 2 on a common adsl connection is less than a minute. Version 2.0.2 was released two thousand six hundred sixty two days ago by ProDigital Software. Click the green download button to download it now.